Because we value your feedback and strive to continuously improve, every inspection is followed with a customer satisfaction survey. Please enjoy reading the many who have responded. Rick was awesome. Super professional and really problem solved to get us want we needed! He fixed what another plumber was unable to accomplish after two visits. 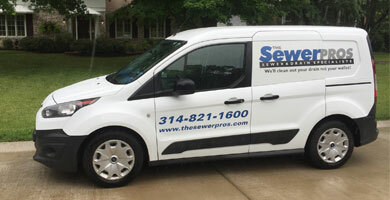 As a home inspector, I always recommend Rick from Sewer Pros to our clients. He is very knowledgeable and provides a great customer service. Easy to schedule, and great video reports. Highly recommended. They were able to get to my home within 2 hours. Kyle was the service man and did a great job. He explained everything he was doing, worked quickly, and also gave great advice on how to prevent any further kitchen sink clogs. Great company! Great staff! Would highly recommend in the future. They sent a technician within minutes of my 7:45 am distress call of my basement backup with raw sewage. They were so professional, mindful to cleanlyness, and quick to resolve the problem. They also gave me great advise to avoid future problems. I called two other companies that weren't able to come today. I would recommend them to anyone!!! Really liked the after hours phone person. The tech sent out. They were great. Very informative, quick and on time. Your technicians are always very courteous and professional and take time to explain to the buyers the process and what it means. Just having the piece of mind that there wasn’t any problems with the lateral before we bought the house! Plus it was a quick and easy process! Friendly. They know what their doing and get it done. The men were friendly and very professional. Ready to answer the buyers questions. On time, efficient, easy to understand! EXPLAINED EVERYTHING THAT WOULD BE DONE. The party was nice and friendly. Very cordial and explained what was going on. Professional, on time, explained very thoroughly to my clients. Always professional and communicate very well to my clients. This was the first time I used sewer pros. I will never use anyone else. I am a contractor and occasionally we have to unclog the old sewer lines. This is the only company that I have ever used that went above and beyond to find the sewer issue. Very professional and skilled. Explained process step by step. Thank you. Had a laundry line that was clogged up about 50 feet in to the drain. 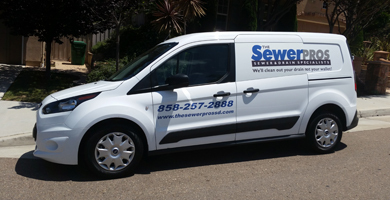 Sewer pros arrived on time, were not messy and fixed the problem. I even asked “you sure it’s fixed” the tech replied “oh yeah, that’s cleared out and if it’s not I’ll come back and do it all again!” It’s been about 3 weeks and everything works perfect! I appreciate the efficient and professional service I always receive when using your services. As a Realtor, it is good to have a vendor that you can trust. I really appreciated the verbal walk through of the inspection and what it meant. I will definitely recommend in the future! Inspector was professional and friendly. He explained things well. He was prompt and gave us good recommendations. The individual that came to my house was very polite and professional. You've done a superb job! Courteous, knowledgeable, and very personable. Seemed very professional and knowledgeable - explained findings well. They make you aware of any problem they see and they also let you know what they can’t see due to blockage. Everything was very efficient and professional. I would recommend their services again. Very professional & super accommodating! Very professional. Very detailed and kept me well informed. Very thorough with explanations. It’s nice to have the videos included with the report. Very helpful and very professional!! Andrew did a great job!! Great customer service. Quick and professional when scheduling the appointment. The Tech was very knowledgeable and thorough to ensure the job was done correctly. Great communication and quality reports regarding our sewer inspection. They did a thorough and professional job! Nice service. Mark was very informative. He explained every part of my sewer inspection in a way that I could understand. As a first time homebuyer, I was extremely nervous about the inspection process. Mark put my nerves to rest with his thorough report and videos of my sewer system. Thank you! Mark has been the technician at several of my buyers homes. He is always friendly, personable, and knowledgeable of his Job. I’m planning on requesting him for all my clients. Thanks Mark. Representative on the phone was professional, personal, engaging and responsive. Thank you!